It’s understandable why many people are hesitant to give online dating a try. 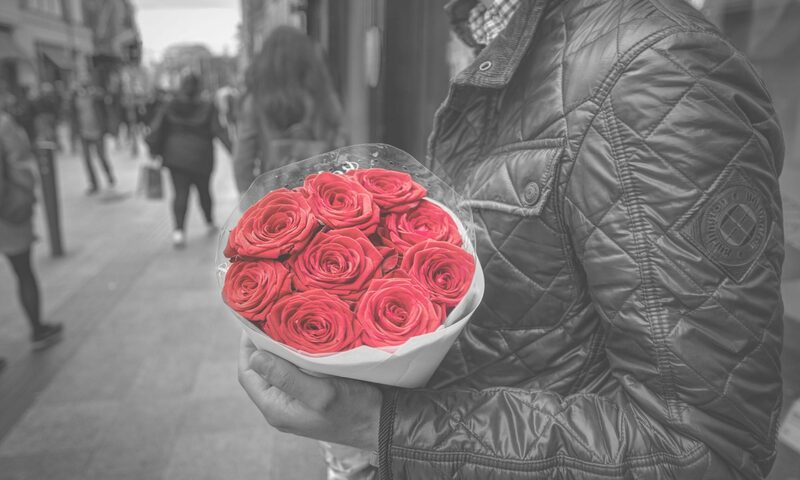 We have probably all heard horror stories from a friend of how their first date showed up the next day at their workplace with flowers and an engagement ring or how the date completely misrepresented themselves in their picture or profile. I can recall a couple of fascinating online dating stories, but it isn’t about where or how you meet someone. You could meet the same nutcase you met online at the grocery store or recreation center. Wherever you end up meeting your next potential “soul mate” it all comes down to safety first. Both men and women need to practice online dating safety. Perverts and sexual predators come in both sexes and all ages… as do liars, cheaters, and con-artists. We all need to stay on guard by being vigilant and taking defensive measures when it comes to meeting new people. Online dating can be fun and rewarding and maintaining your safety is simply a combination of using common sense and exercising good judgment. Rule 1 – Protect your personal information. Sometimes we think we are lulled into a false sense of security because we are communicating over the Internet and not in person but this is not the case. Never give out your full name, phone number, address, place of employment or any other information that may be used to trace you. And by all means, don’t use your real name as your username. There are tools provided by online dating services that can help protect you and help you communicate safely. Set up a new email address at Gmail, Yahoo or MSN and use this address when you set up your online dating account. All of your online dating emails will go to the same place, and you minimize the risk of exposing your regular email account. Rule 2 – Use the online dating tools available through the site to get to know people. The great thing about online dating is that you can get a pretty good idea about whether or not you will get along with a person by communicating through email. Again, avoid giving out to much personal information that can be used to trace you. Rule 3 – When meeting someone for the first time or third time, meet in a public place during the day. A coffee shop, frozen yogurt store or Jamba Juice are ideal for the first-time meet and greets. You aren’t committed to a long visit, and there are usually lots of people around. The goal is to build trust and determine whether or not you want to get to know this person better. Traditionally people would meet a potential mate through family or friends, but as society changes it has become much more difficult for people to find that special someone. The odds of meeting someone online are better than you might think. The world of online dating has exploded in recent years, and it is estimated that over 120,000 couples who get married each year met online. The old saying, “You have to kiss a lot of frogs before you find a prince” may no longer be true. Why kiss frogs when you can read hundreds of profiles and look at the pictures that go with them for a small monthly fee? That saves time and money… not to mention lip balm. One of the biggest questions single people have when it comes to meeting people is where to find people to date? Most of us reading this right now are over 30 years old with careers, children and busy lives. We probably feel too old for the bar scene, work is a difficult place to start a new relationship, and frankly, it can be tough to meet new people at church and through community events. A few of the great benefits of online dating are that you have a wide range of people to choose from and you aren’t limited to your current social circle. After dinner is made, the kids are put to bed and in the comfort of your own home you can, at your own pace, look through dozens of profiles and pictures getting to know people of interest. You can easily weed out people that don’t share the same interests or beliefs. Dating is nerve-racking for both men and women, but with online dating, you have the opportunity to take your time and write a professional profile that resembles the person you truly are (please note that not everyone does this-see paragraph one). This opportunity is especially useful if you are a shy person or get tongue-tied easily. Imagine the time you will save not having to drive across town to meet someone or avoiding those blind dates that you lose friends over. Recognize that not every online date will be mind-blowing, but if you use common sense and get to know someone before meeting in person, you will eliminate a lot of the surprises.